Lets talk caramel sauce. It’s a very versatile sauce and can be drizzled over almost anything sweet. I use caramel sauce just about every day in my coffee. Why spend tons of money per day on a fancy coffee when you fancy it up at home? Caramel sauce is also delicious drizzled over vanilla ice cream, apple pie, oatmeal, bananas, and the list goes on. 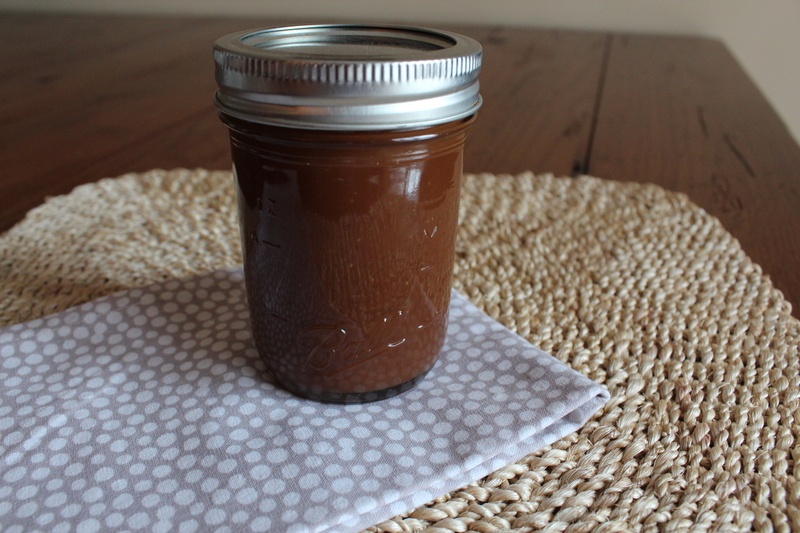 This sauce is super easy to make and will store in the fridge for at least 2 weeks. Did I mention it’s way cheaper to make it yourself versus buying it at the store; plus, you get a heck of a lot more. 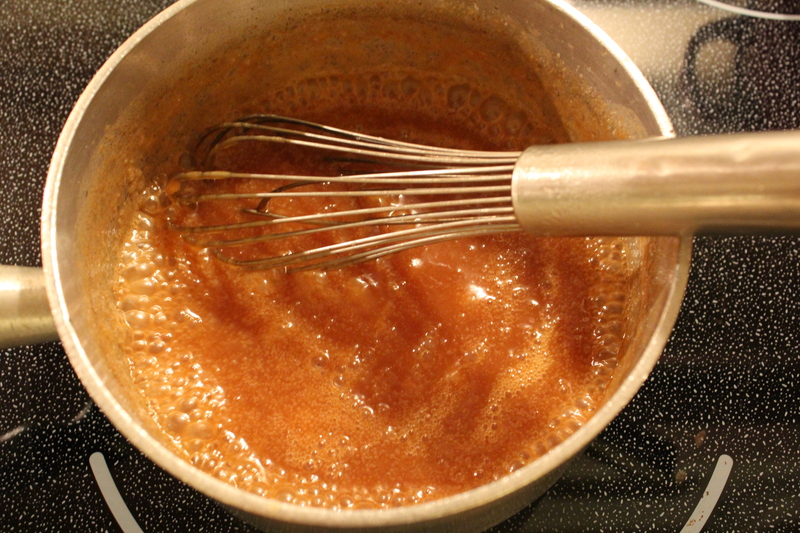 Start by adding the sugar and water to a medium, heavy bottomed sauce pot. Stir to combine (this is the only time you can stir the mixture). Place the pot over medium high heat and bring to a boil. Let the mixture cook until it starts to caramelize and become amber brown in color. Do not stir while this is happening or the mixture will seize up and become rock hard. 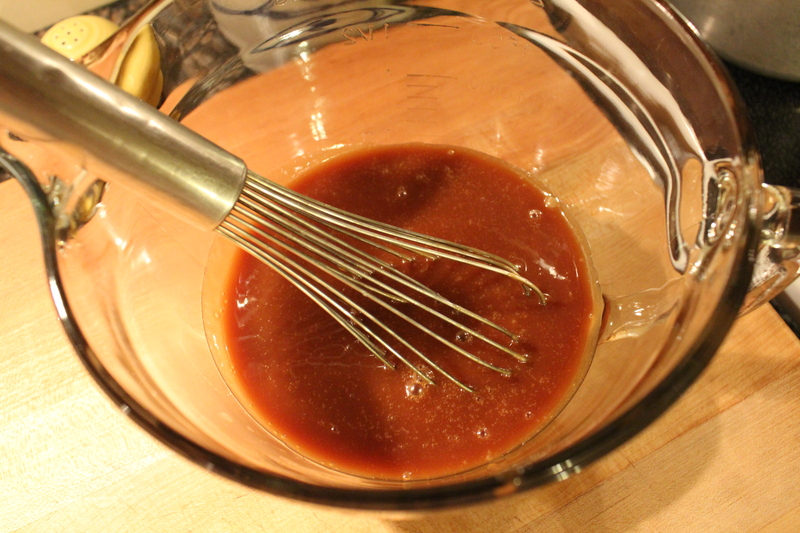 Don’t be intimidated by caramel sauce- it’s very easy and not at all complicated. You don’t even need a candy thermometer. The key to making caramel is paying attention. It’s not something you can walk away from. Stay in the kitchen and keep an eye on it. You’re looking for the mixture to become amber brown in color. Remove the pot from the burner and add the cream. Have your whisk ready! Whisk in the heavy cream. The mixture will bubble violently- this is normal. Go with it and try not to splatter the hot mixture. Turn the heat down low and place the pot back on the burner for another 2 minutes, whisking constantly. When the sauce is finished, pour into a heat proof bowl to cool. Let cool at room temperature for 2-4 hours. Store mixture in an air tight container and place in the refrigerator until you’re ready to use it. 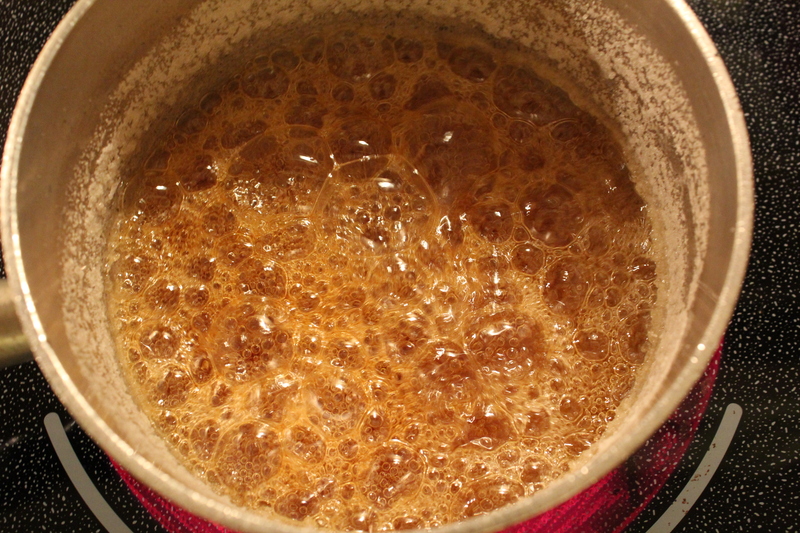 Combine the sugar and 1/3 cup water in a medium heavy-bottomed saucepan. This is the only time you can stir the sugar. If you stir it while it’s cooking, it will seize and become rock hard. Place the saucepan over medium high heat and cook until the sugar starts to caramelize, 10-15 minutes. Do not stir while this is happening. You’ve got to watch the pot, because it goes from caramel to burnt really quickly. Be careful, the mixture is extremely hot! Take off the heat and stand back to avoid splattering. Slowly add the cream. Don’t panic – the cream will bubble violently, and the caramel will solidify. Don’t worry, it more time to liquefy again-trust me! Turn the heat down low and simmer, stirring constantly, until the caramel dissolves and the sauce is smooth, about 2 minutes. Allow the sauce to cool to room temperature, at least 2-4 hours. It will thicken as it sits. This is the best caramel sauce, love it in my afternoon coffee and the boys love to dip their apples in it and put it over their ice cream. Thanks. It makes the coffee so creamy and rich. I’m glad you enjoy it.